Saidpur (Gaya), Dec 15 : Mahabodhi Society, the apex body of Buddhists in India with the aid of a couple of like-minded voluntary organisations has set up a tailoring centre and also a free medical clinic for the poor people at Saidpur, a Maoist infested village in Gaya district. At a simple function, Sivali Thero, a senior functionary of the Mahabodhi Society inaugurated the tailoring centre where the local girls will be trained. Gaya (Bihar), Dec. 4 : Members of a banned Maoist outfit in Bihar celebrated the ninth anniversary of the creation of peoples liberation guerrilla army. The cadres under the banner Bhakpa organised a function in Gaya on Thursday, and the local administration was unaware of the function''s proceedings, which continued for 18 hours. The function began with the Maoists paying tribute to their deceased leaders, and then proceeded with a display of hi-tech arms and ammunitions and a flag hoisting ceremony. Gaya (Bihar), Oct 22 : The Central Reserve Police Force (CRPF) on Wednesday arrested three Maoists after a gun battle in Bihar''s Gaya district. Acting on a tip off, the CRPF troops began combing a jungle under Barachatti police station and a gun battle followed soon after. Gaya (Bihar), Sep 23 : Members and activists of Communist Party of India-Maoist (CPI-M) continued with their Foundation Day anniversary celebrations in several parts of rural Bihar for the second day on Tuesday. The banned outfit was formed with the merger of the Maoist Communist Centre (MCC) and the People''s War Group (PWG) on September 21, 2004. Gaya, Sept 20 : A Maoist commander has said that poverty is forcing the poor to turn to become naxalites. Paramjit, a platoon commander of Maoists in Bihar, said until the Indian Government becomes pro-poor they would continue their fight against the state. He said utter poverty and illiteracy forced the Maoists to take up arms. "We never used to get bread, cloth and house. We had no money for treatment. There is no education for the poor," said Paramjit. Paramjit claimed that the Maoists are fighting for the rights of poor farmers and landless labourers and in turn the rural people give their support to the cause of rebels. "We like the locals. They are everything for us," added Paramjit. Gaya (Bihar), Sep 11: Tomoko Lee, a Japanese national, offered ''Pinda Daan'', a Hindu ancestral worship rite in Gaya on Friday. Lee said that it was dedicated to her grand parents. “Yes, ''Pinda Daan'' I have done for my grandfather and grandmother. Grandmother died about two years ago and grandfather died about a half year ago,” Lee said. Ashok Pandey supervised the rituals. He said Lee may have been impressed by the way Hindus remember their ancestors and resolved to follow suit. “She developed the urge for performing ''Pinda Daan'' for her grandparents after seeing the faith of others,” said Pandey. Agra/Surat/Gaya, July 23 : The longest duration solar eclipse, which was seen in various parts of India on Wednesday, will happen only after 123 years. 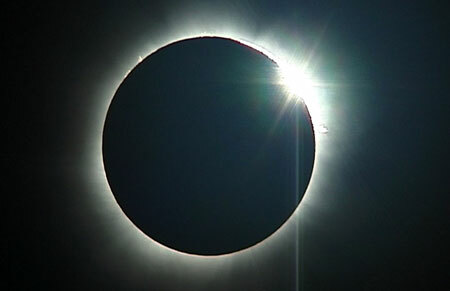 However, the next solar eclipse - an annual one - will occur next year. Enthusiasts including foreigners converged to parts of India to witness the longest total solar eclipse of the 21st century. In Agra, the view was spectacular where the sun was seen being eclipsed in the backdrop of Taj Mahal. Tourists said they had come all the way to watch the sight. Gaya, Apr. 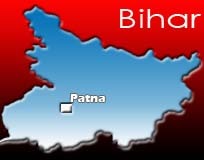 15 : Local administration in Gaya of Bihar state has beefed up security ahead of the first phase of general elections to be held on April 16. In the several sensitive areas of the Gaya district, the paramilitary forces have been deployed. Police personnel are fully prepared for the uncertain situations that may arise during the first phase of the elections. Gaya/ Thiruvananthapuram, Apr 8 : Hectic campaigning by candidates and leaders of various political parties was witnessed in different parts of the country. Former Bihar Chief Minister Rabri Devi while campaigning for the Rashtriya Janata Dal (RJD) criticised the State Government led by Nitish Kumar of Janata Dal (United) by saying it had done nothing for the poor and the under privileged. She also noted, probably in the context of her husband Lalu Prasad being ridiculed by his opponents that the deeds of progressive persons are underplayed. "Fun is made of vikas purush while those who are vinash purush are always highlighted by the media," said Rabri Devi. 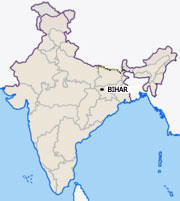 Gaya, Feb. 11 : Three Naxalites were sentenced to death and three got acquittal in connection with the Bara massacre case on Wednesday. It may be recalled that the Naxalites slaughtered 35 upper caste Bhumihars 17 years ago. Gaya District and Sessions Judge Daroga Prasad, designated the special TADA judge, pronounced Vyas Kahar, Naresh Paswan and Yugal Mochi of the Maoist Communist Centre (MCC) guilty of involvement in the carnage and awarded them the death penalty. The court acquitted Tyagi Mahto, Vijay Yadav and Madhusudan Sharma citing, saying the prosecution had failed to establish charges beyond reasonable doubt. Mumbai/Gaya, Oct 29 : Shiv Sena party chief Uddhav Thackeray has warned Bihar’s leaders not to add fuel to a raging migrants'' row. Thackeray was reacting to Railways Minister Lalu Prasad Yadav''s demands of putting a ban on Shiv Sena and Maharashtra Navanirman Sena (MNS) accused of fuelling anti-immigrant rhetoric in Maharashtra. Gaya, Oct. 28 : An Australian lady, who has adopted Gaya as her second home, is resolutely making a difference in the lives of many village girls in a Naxal affected area here. Katrina Mount, the Australian native presently residing in Gaya’s Guraru Block, has taken to social service here. She has dedicated herself to enable the village girls of her locality to become self-dependent through fashion designing and thus training them to be so. These 25 village girls are local residents of Gurau Block, an area facing neglect of the District administration which contends it is a naxal-dominated area and hence unsafe to work. Gaya, Oct 21: Police have recovered a huge cache of arms hidden by Maoists in Bihar's Gaya District. 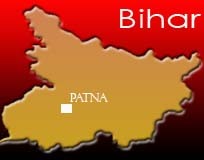 Acting on a tip-off, the police seized the explosives from a water tank in the Bhalua forest area of the district. "We recovered a 250-litres tank. On opening it was found it had 200 detonators, 126 tiffin bombs, timers and few wires. It was dumped so that they could easily take out and use it," said R. Mallar Vijji, Superintendent of Police. Mahabodhi (Gaya), Oct. 16 : Visiting the famous Mahabodhi temple of Bodh Gaya by evening has been made extra special with illumination effect. Temple management has spent about 30 million rupees to illuminate the temple, as part of its beautification initiative. "The implementation was a part of the temple''s beautification. Besides, Bodhgaya is an important place of pilgrimage for the Buddhists and people of other religion as well. From the spiritual point of view, this is a part of offering to the Buddha through illumination," said Nandji Dorjee, secretary, Bodhgaya Temple Management Committee. Gaya (Bihar), Sep. 25 : Bihar floods have marred the annual Pitripaksha Mela in Gaya, when Hindus offer Pinda Daan to perform Shraadh (a death ritual) for the departed soul of ancestors. Pitripaksha is an occasion when Hindus pay tributes to their departed ancestors by offering Pind Daan (cooked food) on the banks of River Sarayu, to the crows, the cows and Brahmins. Gaya is reckoned as a sacred place for this offering and Lord Rama is believed to have performed this Vedic ritual on the banks of River Sarayu. But, this year, there has been a very low turnout of people here from different parts of the country. 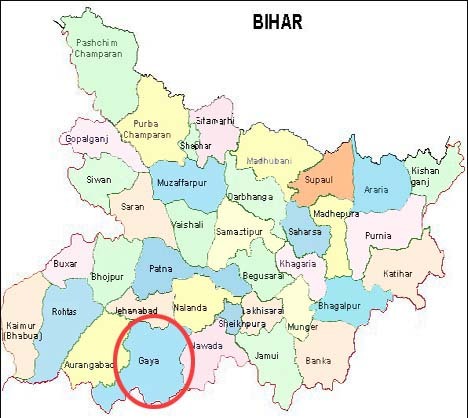 Gaya (Bihar), Sept 22 : Business has been severely hit in Gaya in Bihar due to a sharp fall in the number of people turning up for the annual fair, organised during the fortnight- long ceremonies to pay tribute to forefathers. The fair has seen less participation this year that has adversely affected the sale of different products. Traders and shopkeepers say that earlier a lot of people used to come here from Uttar Pradesh, Madhya Pradesh and West Bengal but this year there has been a sharp decline in their number. 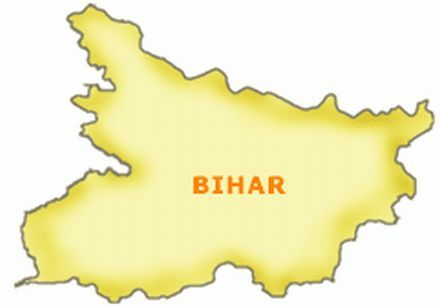 Gaya (Bihar), Aug 26 : A Central Reserve Police Force (CRPF) jawan was killed and three others were injured in an encounter with Maoists in Bihar''s Gaya District today. According to sources, CRPF Havildar B P Singh was kidnapped and shot dead after an encounter with the Maoist guerrillas at Patthar-Lautia village, around 90 km from Gaya on Monday evening. Constables Mahipal Singh and R K Shahi, who received bullet injuries in the encounter, were admitted to the Magadh Medical College Hospital Gaya. Gaya (Bihar), August 1 : Maoist rebels have protested against the Indo-US civil nuclear deal in Gaya district of Bihar. The rebels burned tyres and shouted slogans against the Government at their hideout at unidentified location in Gaya on Friday. They criticised the nuke deal as being harmful in the interest of the country. Gaya (Bihar), July 02 (ANI): Maoist call for shutdown in Bihar and Jharkhand has affected life as transport facilities were suspended and markets remained closed today. The shops had downed their shutters and barely few commuters were seen o the roads of Gaya. Transportation of both goods and passengers came to a halt, as people did not venture out of their homes due to fear of incurring Maoist wrath. The Maoists have been active across India, including the states of Jharkhand, Chhattisgarh, Andhra Pradesh, Bihar, Uttarakhand and West Bengal. They are also active in some areas of Orissa, Maharashtra and Karnataka. Gaya, Apr 23 : The fear of Maoists in Gaya is forcing the locals to perform marriages, without any ostentation, in the courtyards of temples by merely exchanging garlands. One practice has been to arrange grandiose marriage celebrations. People used to invite almost the entire neighbourhood during marriages. But people in the Maoist infested region’s of Bihar are forced to restrict the marriage celebrations to the courtyards of the temples. "We are scared that the Maoists will spoil our celebrations. They have a tendency of taking away our belongings, snatching our valuables and hurting us. They attack such huge gatherings," said Yugal Singh, a local attending a marriage ceremony in a temple.